While having computer problems and ultimately buying a new one, then doing all the setup and organizing required to have a working system and LAN, I did less reading, but finished a couple of things. I decided to get current on William Kent Krueger’s Cork O’Connor series prior to the new one coming in August, so I read Manitou Canyon. As always with Krueger, I liked it a lot, and am eager for the next book. 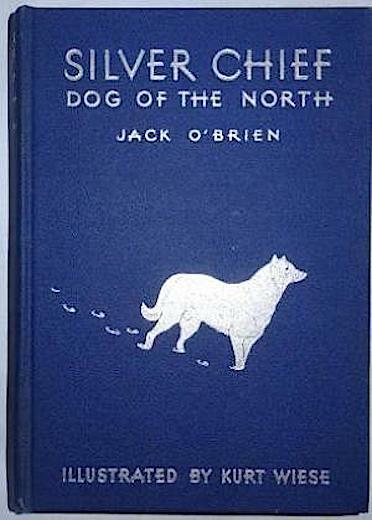 I also read Silver Chief, Dog of the North by Jack O’Brien (illustrated by Kurt Wiese). A couple of years ago I picked up several O’Brien dog books on ABE, and have been reading one now and then as the mood strikes. Silver Chief is the son of a husky and a wolf, born in the wild. He is extremely mistrustful of humans, but is captured, tamed with kindness and love by Jim Thorne of the Royal Canadian Mounted Police. On assignment to bring in a killer, Silver Chief saves his master’s life and brings the assignment to a successful conclusion. I enjoyed this one quite a bit, and though there are some grim moments all turns out well in the end. 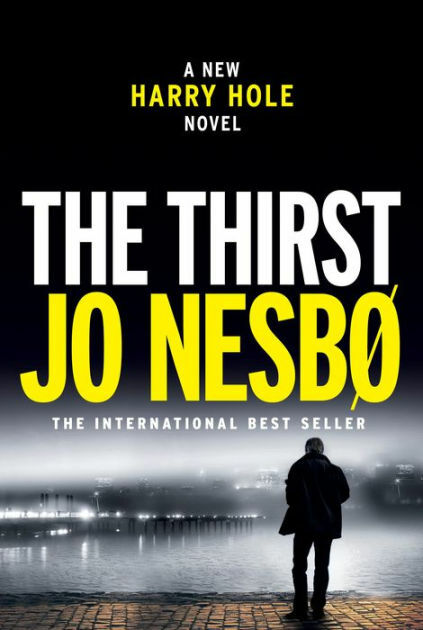 Barbara is finished All the President’s Men and has started The Thirst by Jo Nesbo, a Harry Hole novel. This entry was posted in Adventure, Books & Reading, current reading, Mystery. Bookmark the permalink. I have only read one Krueger-a standalone. He is on my list. I liked The Thirst a lot. I’m a big Nesbo fan. A film of his The Snowman is coming out in the fall with Michael Fassbender as Harry Hole. This week I read Collecting the Dead by Spencer Cope, Ararat by Christopher Golden and Proving Ground by Peter Blauner. All were okay, the Blauner being the best of these. Also just finished The Birdwatcher by William Shaw. I liked it a lot and will be reading more of Shaw. Just started The Force by Don Winslow one of my favorite writers. It is long but reads fast, Read about 150 pages today and am liking it a lot. As always, you get through so many books. I know you have lots of reading time, but still. I liked some of Winslow’s early books but his current stuff is too long and somewhat brutal for me. I’ll tell Barbara about the Snowman film, thanks. You are probably referring to Winslows The Cartel and Power of the Dog which both deal with drug cartels and some of the stuff they do is pretty brutal. The Force is about crooked cops in NYC. After reading THE LAD AND THE LION I started on an Edgar Rice Burroughs read-a-thon and have read THE MAD KING (a Graustarkian novel), THE MAN-EATER (ditto, with African scenery), TARZAN AND THE CASTAWAYS (a collection of three stories), BEYOND THE FARTHEST STAR (an SF mashup of two novellas), and THE GIRL FROM HOLLYWOOD (a standalone contemporary melodrama-ish tale set in the Prohibition). All were tortured and clunky, but they appeal to me. I’ll probably be reading a few more over this month. My Robert B. Parker like/don’t like affair (which is something not as strong as a love/hate relationship) with his books and characters continues. I read two Jesse Stone novels by Michael Brandman, who continued the series after Parker’s death. KILLING THE BLUE and FOOL ME TWICE both reminded me more of the Jesse Stone television movies then Parker’s original books, which is logical because Brandman wrote several of the television scripts and was involved in producing several others. Brandman wrote one further Jesse Stone novel before the series as handed over to Reed Farrel Coleman. Also read Michael Connelly’s THE BLACK BOX (a Harry Bosch novel) and Loren D. Estleman’s THE LEFT-HANDED DOLLAR (an Amos Walker mystery). Enjoyed them both. Reading over the past two weeks was slowed because we were watching the Kangaroo, aka The Child Who Will Not Stop, while my daughter and her two youngest were on their European adventure, taking Switzerland, Italy, France, Monaco, and Spain. We loved having all this time with Jack but — because he’s almost 5 and we’re not — he wore us out. I won’t mention how many times we watched episodes of THE POWER RANGERS over and over and over again. I’ll skip those Burroughs books, Jerry, and stick with the Mars novels and some of the Tarzan ones. Power Rangers? Gack. Hope you enjoy your 4th as well. We have NO PLANS which is the way we like it, but many people in this area buy and light off (and have been for days already) legal and illegal fireworks. We fear for the trees and houses, as well as injured people. but they will do what they do. I don’t like the noise and try to avoid it by closing up the house. After commiserating with you over your computer woes, I was suddenly hit the same way. I had a week of intermittent problems with did not seem very serious at the time, and now the computer just died. It could possibly be fixed, or I could have the hard drive taken out and see what they can take out of it, but…it’s four years old and I would have to buy a new one in the end anyway, and it would be – basically – a waste of money. We are going to buy a new one instead. But we’re going away for a few days this week, so I will wait until we get back and use the laptop until then. This hasn’t helped my reading, which has been in a two month funk. I blame Trump (well, partly). I have been reading short stories, at least. I think the problem (besides not having enough books that grab my attention and pull me straight through) is reading too many different things at the same time. When you’re reading 2-3 short story collections, OK, that’s fine. But add in 2-3 non fiction books plus a mystery or two, and all you get is confusion. I have a dozen library books on the shelf and need to either pick one at a time and read it straight through, or return them and start over. I will be returning the last ebook (it’s due) so that might help. So sorry to hear of your computer death. My first thought is I hope you had all your files backed up! You’re right about it making sense to just buy a new one. Where will you go to buy the new one, and what will you get, do you think? Pamela Paul’s edited collection of author responses to the NY Times about their reading, BY THE BOOK, is already giving me more books to add to my list. Two came from author David Sedaris’s selections, the first being the short story collection by Wells Tower, EVERYTHING RAVAGED, EVERYTHING BURNED. The title story is about a Viking going on a reluctant raid to a place we’ve been several times, Lindisfarne (Holy Island) off the coast of Northumberland in northeast England. The other Sedaris recommendation, which I’m enjoying and wish I was reading faster, is by Shalom Auslander, the very funny FORESKIN’S LAMENT: A Memoir. The author grew up in (and rebelled from) the very Orthodox Jewish community of Monsey, New York. The rest are works in progress, but I need to finished Andrew Cartmel’s THE VINYL DETECTIVE: The Run-Out Groove before my ebook time runs out. Could be worse, Jeff, you could be getting up every weekday morning and heading off to a job. The thing about library books is that once you’ve returned them, you can put a new hold in. By the way, as I mentioned on Patti’s blog this morning, I really enjoyed Hard Ground by Joseph Heywood, which you recommended to me. I’m glad you liked it. I absolutely am happy every day about our general situation. Jackie has a very good pension, we have Medicare and secondary coverage, the city reimburses us for our Part B costs (we had it directly deposited in June), and as a retired NYC teacher who took the optional rider, Jackie gets a check for our prescription costs from her union every year. Yes, you have things right in the sweet spot. Barbara had a long career with a major insurance company, Fireman’s Fund, then it was bought out by a German company, Allianz, and at that time they retired as many as they could and dumped both pensions and medical coverage for retirees at the same time. All she has is Medicare and a small Social Security check. If it weren’t for my Orange County, CA pension and secondary medical insurance, we’d be in pretty bad shape. So funny to read Jeff’s angst over not reading enough. Who reads more, I ask. (Okay maybe Steve and Jerry)I would take the trip over reading, always favoring getting away. I finished HUNGER by Roxane Gay, which was painful but brilliant. Now reading The Marsh King’s Daughter and a book by Mat Johnson for my book group. Phil is reading A GENTLEMAN IN MOSCOW by Towles. I had started NORWEGIAN BY NIGHT but had to put it aside for the DIonne book. Patti, you do a lot of reading too, by my way of thinking. I wonder when you’re going to read another Krueger? I finished AL FRANKEN GIANT OF THE SENATE. Now I’m reading Library books. Diane’s Book Club is reading A GENTLEMAN IN MOSCOW for their August meeting. I suppose we’ll discover which library books by continuing to read your blog? Well, these days I’d guess George reads more. I have not read any of the Cork O’Connor series, and I should. I am way, way behind on Jo Nesbo’s books, and I have several on my TBR piles. I finished City of Dragons by Kelli Stanley. It took a long time, and I had some problems with it, but I am interested enough to continue on to the next book sometime. I am now reading Red Bones by Ann Cleeves because we want to try the Shetland TV series and that is the first book they adapted, although it was the 3rd in the series. Why can’t they do them in order? My reading may take a hit this week because my computer crapped out, too! First your computer, then Jeff’s computer, now my computer. What’s going on? Jeff, I’m blaming the Russians! Wow, so many computer fails. I hope everyone gets a nice, shiny new computer, gets it going and set up just the way you like and DON’T FORGET THE BACK UP system! See today’s post.